I am from the 3rd biggest city in the United Kingdom- Leeds. Leeds is metropolitan city, it’s the capital of the North of England, majority of the Leeds suburbs are all council or old miner houses. Leeds has always had a vibrant Hip Hop community, Skinnyman along with ex Rapper Tommy Evans, British Hip Hop site (peter low), Brain Tax, Low life records are all real Leeds originals. Now you got heavy graffiti artists & b boys coming out. We got some already established artists like Breaking The Illusion and Junkyard Tactics. Am very passionate about my city, its cool. In some places in Leeds, like Chapletown (were Yorkshire Terriers are from), predominately consists of African/Jamaican community. If you want weed, all you have to do is go to a certain pub just before you go in to Chapletown, it’s obvious to see because there's 60 Jamaicans' outside the pub blazing, and am serious. I went there a few times; I was the second only Caucasian person there. The Jamaican there really open themselves up to you, even waited with me to get a bus later on cause I was totally out of it after having 20 joints. There very peaceful up here, yah there has been some bad press with shootings but it happens everywhere but the shootings were happening as far back as 1992. One guy showed me a few bullet wounds once which shuck me back a bit. As with any big northern city, it's not without its problems. There are a lot of rough areas, and still quite a lot (it seems) of people living on the breadline It’s a mix of everything, when you go in Leeds it reminds you of London or possibly New York. The city centre is great - they're spending a lot of money rejuvenating it and there are a lot of nice new flats, hotels, bars and restaurants now. It’s a great place - always lots of gigs and stuff going on. It was the first to have a UK Harvey Nichols store outside London! Which I don't shop at. Leeds is not seen as a hip-hop city, outside. Truthfully though, the fact is, we have been apart of a growing UK hip-hop scene with the said above names. We have helped a lot and we have not in my eyes been recognized for it and that really dose disappoint me. So I am willing to rep Leeds to the maximum, but give you all a different type of wave, Leeds is a very aware city, the urban community are great, they look after you round here. How did you get your name and is there a story behind it? Dam. Yeshua, is Hebrew name for JESUS. The story is long but you can read why by going to myspace.com/yeshua02 and reading "evidence of Jesus". It’s connected to my life and my name, which was sparked from a vision while I was relaxing near a lake, since then have been having prophetic dreams. Before anyone rants on, yes I do know that Horus is similar to the story of Jesus and various other godly like stories. I know it’s to do with the sunrise and sunset with Egypt etc. I know we are all Christ like inside and we all are able to have shamanic abilities- telepathy, healing, etc. Well it’s a long story but I’ll make it brief as I can. Basically when I was 15, I living in an area another part of Leeds. I was friends with many ethnic communities, Asian and Jamaican. However, I was in a Caucasian area and the other community was opposite side of this council estate. Because I was friends with theses Asians which were Muslim, Caucasian people who were members of the then national front harassed me. Kicked footballs at my window every night, throw bricks at window and at my dads car window, forced entered in my house and tied me up n tortured me. After a while, we put cctv up, then one night, I was chased down a street at night and a lad tried to stab me, my dad came out, and he was fragile and not in to all that crap, his a peaceful man. He went up the road to them they hit him around the head on the floor bleeding. I dint know at the time if he was dead so obviously I got mad and went after them. So just because of the people I chose friends with, my dad nearly died for, IT’S NOT ON. So this really triggered something inside me but I went in to myself. I was lost and confused with the world when I was a nipper. At the time when I was 15, I only had my computer as a commutation to the world. I hadn’t really got to know anybody at that age. So, anyways, I hopped on pc and started talking to people on chat rooms, got talking to a girl called Anna Ford. I didn’t know how to express myself so she introduced poetry to me, at the time I was writing a book about my experiences in life, So Anna Ford sent me this beat with a rapper that I totally related to. I didn’t know anything about hip hop or music in general, so she set up to meet with me and she gave me some dictionaries. Anna informed me to go to some sites to see some lyrics other rappers had been creating. I found the different structure's and found I could use lyrics as if I was drawing a picture, so when I write, I am drawing a picture. Even though me and Anna Ford lost contact years ago, I shall always thank her. Thank you and much respect and love. I had other troubles going back since I was 5 which is a long story maybe you can buy my autobiography lol, its deep man, am pissed of with how the system is. Born, nursery, school, work, few years of retirement, dead. You’ve lived 3 seconds. I don't live like that, I wont live by that. That’s why I got a track coming out with the start lyric "manipulate the brain cells to a shallow level- suicidal intentions now treble-am a rebel-who don't live by the rules-small insignificant pebble can be lethal as a bullet to the fools' that’s basically my who life and probably most peoples life wrapped in couple of bars. It hopefully should explain to your question, If you don't understand, basically, I have been very underestimated. 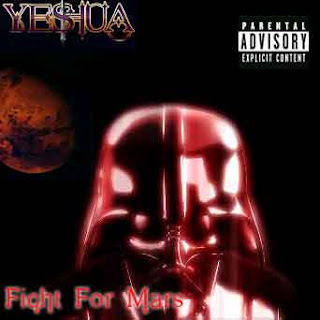 'Fight for mars' produced by legendary Tricksta, it’s about the government planning to live on Mars just before 2012 which is a Mayan date for end of the current calendar. Which apparently by the Sumerian tablets suggests that the planet Nibriu which is the home of the "Annuanki' is going to bring a pole shift to the world. It is by fact that Nasa (Nazi's) have seen some reaction in the sun which will bring some type of destruction to earth. Read up about it very interesting. The track basically is about WE humans fighting to live on mars before they do and to read in to the Sumerian tales. Please look up Zechariah Sitchin and Malachi York. I drop Knowledge is a track featuring Cappo, produced by a SICK producer from Canada called dirty notes; he is going to make some big waves here in the UK. I drop knowledge track is about opening the stargate of the mind from past to future to change things and providing knowledge of what will happen in the future and how we can change our past. It is just a snippet of what is to come in my lyric and flow ability. What do you prefer; playing live, recording in the studio or battling? Recording in the studio, am in my zone I can get it out to the listener more. How would you describe your personality? What do you enjoy doing? No messing about. Am up front in your face straight forward. If I think your been shifty with me, ill come straight to the point, I don’t like small talk either. I am spiritual, understanding, very strong willed and strong minded person. I help people but I don't let people take the piss. I enjoy traveling, giving knowledge, going to see ancient stuff, having a few joints discussing the world. I enjoy unlocking the minds from dependent to independent. How did you go about setting up independently? I go to car booty. Forget the budget, what would be your dream collobo? With so many artists out there, what are you doing different to get heard? By not only convulsing my unstable artiect on the microphone. My vocal is nothing you have heard anywhere in the world. The vocal and lyrics have power behind them that at times, will put shivers through your spine. My lyrics contain warnings of future events that i have personally envisioned in my dreams. The start will be from the unusual situations that shall happen surrounding your own life if you buy this record. Your life will be start to be different. If you believe in me you will be guided on the right path, if you don't, then that is entirely up to you however it will show signs in your life you need to fix. I know other rappers talk a bit about what i talk about but they don't act what they know. To get noticed, I will be arranging with some artists to tour, to literally give their audience some spiritual lesson, it will be something like a physic event, meeting a sharman. I will tell you about your life, probably be able to know what your thinking at the moment in your mind. give you electric pluses through out your body, which has been done to top uk hip-hop names in the business already. I am very approachable. I am very confident of my ability and to show the proof of the divine because it is real, its mother earth. My mission is to bring back the lost knowledge of man kind, if you wish to learn about theses abilities then it will be your destiny to see me. So i think what will put me out from all over rappers is, the fact i act the knowledge i know. I will be hopefully doing a lot of tours independently from rapping with physic events, mother earth education, something like what David Icke might do. I will be producing dvd's, arrange events for like minded people to be connected to mother earth etc. I have have experienced a lot in life, so, if you've starved for a week because you dint have enough money or you have picked up cigs from the pavement cause u couldn't afford cigs or you have seen something deeper relating to a sudden death of a friend, I have seen it and done it. So, i write to explain how to get through these things, how to come over it without getting heated up inside and wanting to become a pawn in the game and seeing another person on the news been hurt because of their anger. I do understand you. Now is your chance to get something off ya chest! Anything getting you down or any opinions you need to voice? There is some else who has my featured track with cappo, different beat but same verse and cappo's beat. I have copyrighted it all, so if you see the idiots just tell them there wack and there going nowhere and that it weren't right they robbed of my miss's, one of them loves Emmiem & 50 cent. Also, am willing to work with any spiritual type minded rappers out there, if you got any issues you need addressing thats in your life, give me shout, maybe i can help? Big Up to TRICKSTA, LATE, GEEJAY, KID RAD, DJ VOKAL, ALEX BLOOD, SWIFT 89, BABY J, RUKUS, STYLAH, LOST CHILDREN OF BABYLON. ETC Thank you Kut for the experiance, I really appericate it. I wish you all peace and good look, please do not be naive with the tv, newspaper and really, watch out for the snakes they have long nose's and sulked eyes ( like queen, bush etc). Okay, before you go please give us you’re My Space details.